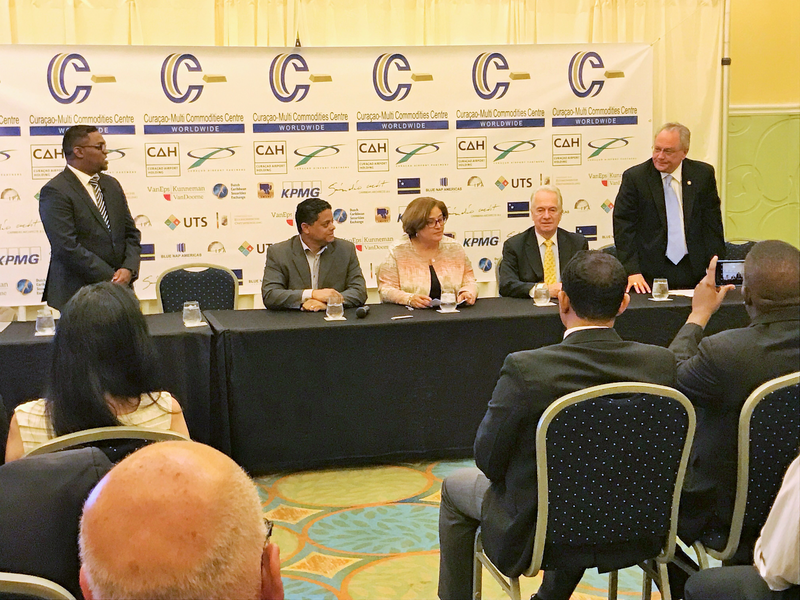 New York, NY, March 1, 2017 - A long-term lease agreement between CMCC Development Group, LLC (Development Group) and Curaçao Airport Holdings (CAH) was signed in Curaçao on Monday, February 13, 2017. 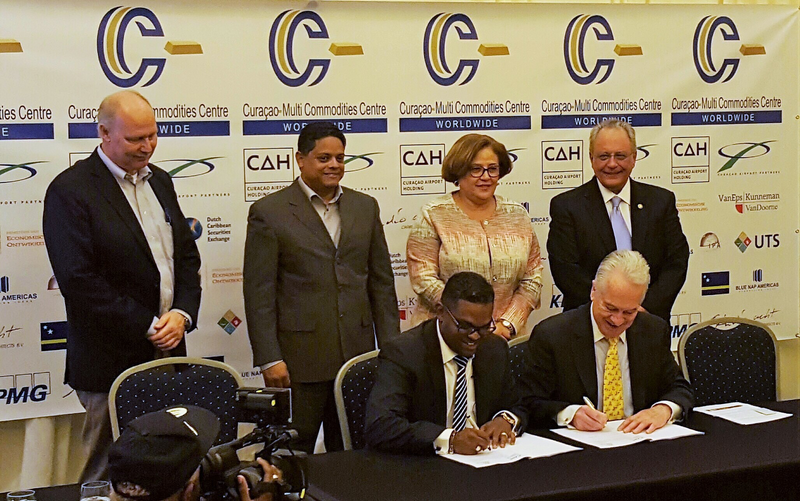 The agreement provides 200 acres – 81 hectares - for development for the Curaçao-Multi Commodities Centre Worldwide (C-MCC) Free Trade Zone and provides for immediate commencement of operations in the Airport Terminal Building while development planning and construction is completed. The C-MCC will be the economic engine to spur development in Curaçao’s Airport City, stimulating trade in Central and South America. The Development Group is a US-based development company and the holding company for the C-MCC, with extensive experience in international real estate development, security, technology and international commodities trading. Patterned after the successful Dubai Multi Commodities Centre (DMCC) and the Dubai International Financial Centre (DIFC) located in the United Arab Emirates (UAE), the C-MCC Worldwide Free Trade Zone will establish Curaçao as the Western Hemisphere’s hub for international commodities trading, serving North, Central and South America, Europe, the Middle East, North Africa and Asia. The C-MCC will integrate the proven business models of DMCC and DIFC, in Curaçao, utilizing many of the key executives responsible for the rapid growth of DMCC. Curaçao’s remarkable resources made it ideal for the C-MCC’s development, including a deep-water harbor and international airport, a burgeoning technology sector, and the country’s central location below the hurricane belt, which provides ideal access to the markets of the Americas. The C-MCC Worldwide Free Trade Zone will be the newest hub for international commodities trading - both physical and electronic - in gold, diamonds, precious metals, precious stones and other commodities including oil, steel and coffee. Commenting on the project, Ian MacDonald, President of the CMCC Development Group, LLC and a former Executive Director of the DMCC in Dubai, said, “The vision to create free trade zones in an empty desert in Dubai was the catalyst in transforming the land into a thriving, robust modern economy with world class iconic buildings. During my tenure at DMCC we witnessed an influx of major global institutions and multinational corporations join the free trade zone.” Similarly, the aim of C-MCC Worldwide is to provide an ecosystem of physical, financial, technological and regulatory infrastructure to enable business, streamline trade and establish Curaçao as the Western Hemisphere’s premier international trading hub and gateway to the world, thereby playing a decisive role in the economic evolution of Central and South America. Organizations participating in the long term lease signing, in addition to the Development Group and Curaçao Airport Holdings (CAH), included the following: Curaçao Airport Partners (CAP); Office of the Minister of Economic Development: StudioAcht, Caribbean Architects B.V.; KPMG Dutch Caribbean Securities Exchange; SMART Congressional Initiative; Van Eps Kunneman/VanDoorne; International Preparedness Associates (IPA); Development: Blue Nap Americas (Tier 4 Network access point data center); UTS. C-MCC Worldwide is a free trade zone initiative that will provide the infrastructure to facilitate physical commodities trading, as well as financial, technological and regulatory services through Curaçao. It is the first free zone clustered commodities center of its kind in the western hemisphere, which will establish Curaçao as the premier international trading hub and gateway to the world. 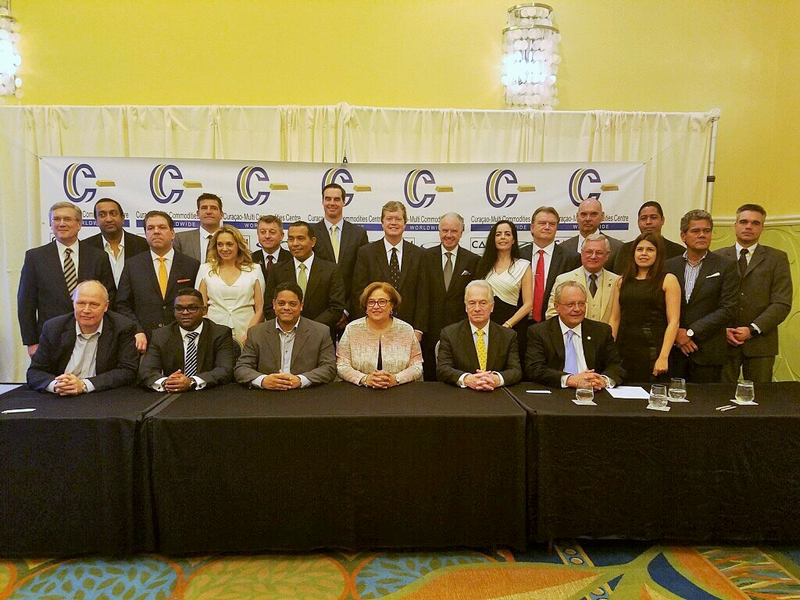 The establishment of the C-MCC in Curaçao will reduce political and economic risk, revolutionize the growth of trade, business and communities in many regions of the world.